Hectic work life, high expectations from oneself, rifts with family or friends, all tend to take a toll on one’s life. Whatever be the situation, it really shouldn’t be the end of the world and just an experience to learn from. Even Neel Mullick’s latest riveting novel, Dark Blossom conveys the idea of how things in life can be made better if only we reach out for professional help. After all, it should always be mental health over everything else. If you’re not feeling like yourself lately, but can’t point your finger at something particular, here’s a list of 5 online therapists you can reach out to on the go. Initiating Concern for All (or iCALL) provides professional and free counseling through telephone, email and chat to anyone in need of emotional support, irrespective of age, gender, sexual orientation or race, and from any city while ensuring confidentiality. One call to them and you can connect to a counselor immediately during working hours (Monday to Saturday, 10 am to 8 pm). You need not share your name or any other personal identifying information, and can talk about any issue that’s bothering you. Hoping to fight against suicides, Aasra provides voluntary, professional and essentially confidential care and support to the depressed and mostly 20-somethings. Their free, confidential and 24x7 helpline is answered by professionally trained volunteers with whom you can discuss your concerns without any judgmental and critical listening. Your identity is never revealed and none of the calls are ever recorded or shared. Whether you’re an adult, child or adolescent, seek help from Ridhimaa for autism spectrum disorder, ADHD, academic, emotional and behavioral concerns such as distress, depression, anxiety and other challenges. 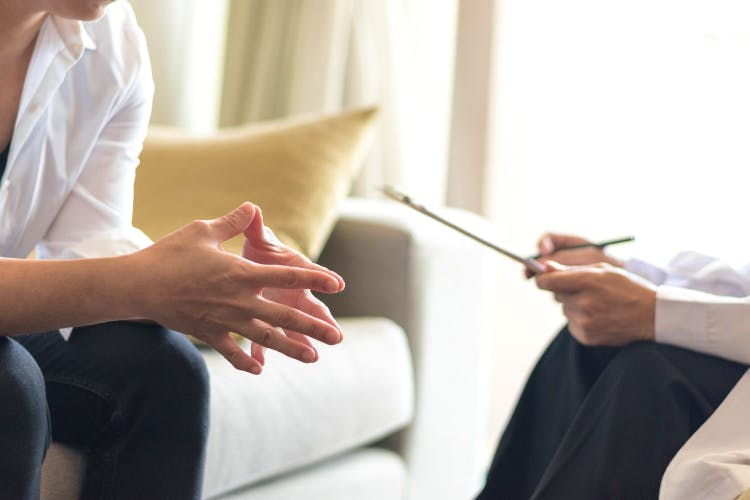 This Jaipur-based clinical psychologist specialises in psychotherapy, diagnosis and counselling with options for cognitive behavioural therapy, dialectical behavioral therapy, play therapy, art therapy and more. Sometimes knowing who’s on the other side also helps. Drop her an email on ridhimaachaudhary@gmail.com and schedule your appointment for a telecall. The fact that suicides are preventable with effective care and that support from fellow human beings in rough times is what Sneha believes in. Their helpline is available 24-hours of the day, alternatively, you can even write to them. Moreover, Sneha also conducts awareness sessions at universities, schools, airforce and other organisations with the aim of de-stigmatising suicidal feelings and sensitising people to early indicators of prolonged stress and depression. They’re available on phone, chat and video to anyone across the world. Whether you need counselling for depression, breakups, work stress, anxiety, relationship problems, marriage, parenting challenges or anything else. They also have interactive exercises online formulated by psychologists that can help in coping with anxiety, building communication, improving relationship, achieving work life balance and more. Don’t let stress take the better of you. Even if time may be a constraint, there are ways to seek that much-needed professional help right away. Take a cue from Dark Blossom’s story as well when we see how Sam thinks Cynthia has helped but there’s always more scope. "You’ve already helped so much," he continued. "You know, I’ve been afraid I’m doing something crazy. You’ve pulled me back from the brink and you’ve been so patient." He looked at his watch again. "I know we’re out of time but I think you may have been right. I think I’d like to come in for one final session. I’d like to get more out of my system—especially how I’ve been handling this new information."